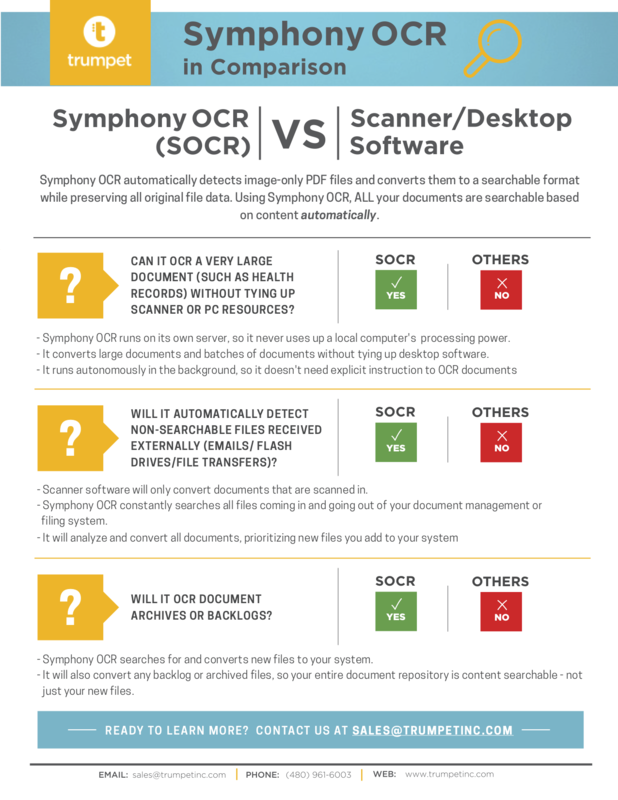 In this overview we compare the features, functionality and benefits of Symphony OCR to Scanner / Desktop software. Symphony OCR automatically detects image-only PDF files and converts them to a searchable format while preserving all original file data. Using Symphony OCR, ALL your documents are searchable based on content automatically.